Feeling nutty? | Do the twisted. A good bartender knows your drink when you walk in and lights your cigarette before you have to opportunity to get out your lighter. Some bartenders may also put salted peanuts out as a munchy-snack for customers. Well I know a bartender who takes care of his customers a little more personally. If you are lucky, he will offer you HIS nuts. Yes, his personal nuts. He usually only offers his nuts to customers who strike his fancy or if a friend comes to grab a drink. He’s very protective to not let them turn into “pee-nuts” because strange drunks disregarded the “Washing hands prevents disease” sign in the bathroom. Cleanliness aside, the bartender rations his nuts because, after one taste, you want more and more. This bartender introduced me to a brand of almonds that has continued to rock my world. 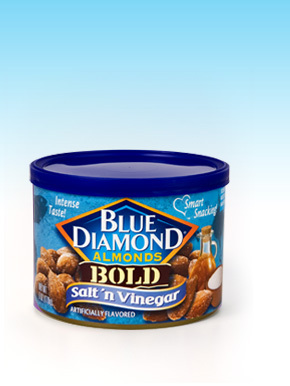 Check out Blue Diamond Almonds. They can usually be found at any local grocery store and you may have tried them already. 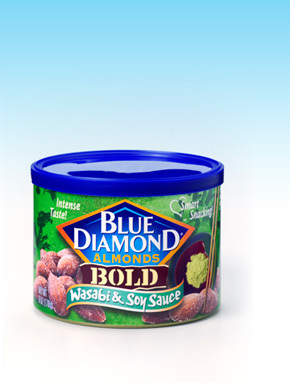 But if you haven’t and you’re ready for a nutty adventure, then try some of their flavored almonds such as Jalepeno Smokehouse, Wasabi and Soy Sauce, or Salt ‘n Vinegar. These non-traditional flavors allow a whole group of non-nut-eaters to enjoy a healthy and tasteful snack. Your tongue may just find itself “Straight Twisted” and begging for more! Next time you’re out drinking, ask the bartender for his personal nuts. 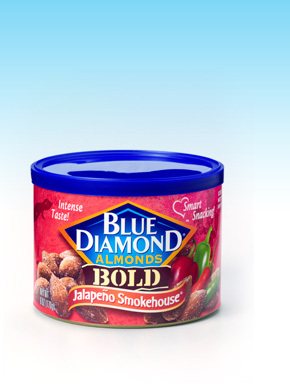 You may either find yourself munching on some delicious Blue Diamond Almonds, or in jail.